Gongshow Saucer King – Games for Android 2018 – Free download. 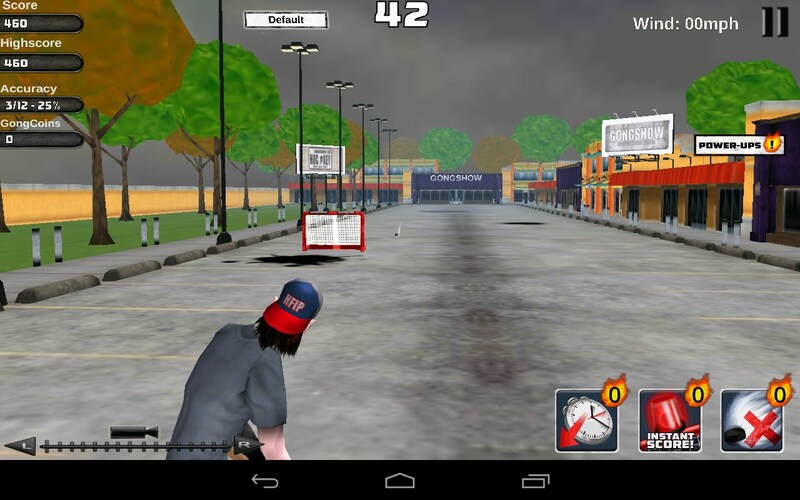 Gongshow Saucer King – Street hockey simulator. 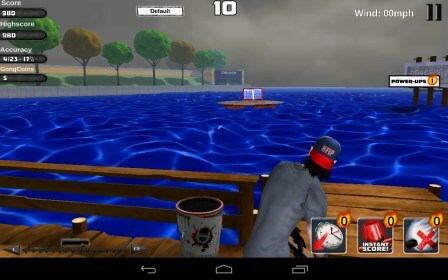 Gongshow Saucer King - this sports simulator street hockey for Android, which will please fans of this informal sport. Take your stick and puck favorite, and ran into the street, which will be your stadium. Beat accurately and quickly to catch nailed as many goals in the allotted minute. Complete all the available levels and getting enough experience, take part in online battles, where the real players vie for the title of best. Three-dimensional graphics done at the secondary level, while it lacks quality textures and rendering the background. Slightly better things with animation, and although it is not much, but the movements of the hero made a very high quality. Occupies an important place physics, which is made very well. Flight and blows washers look realistic, especially when there is a rebound from various objects. 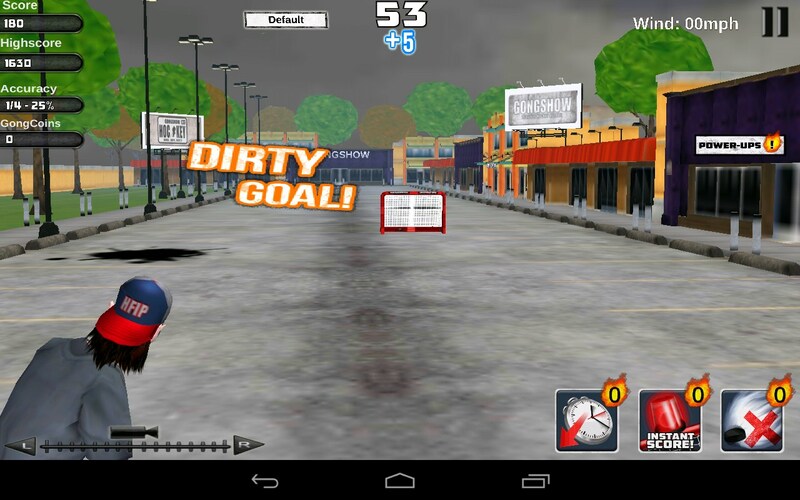 The game offers three modes to choose from: practice, championship and multiplayer. The first option is designed to develop skills that will be required to carry out precision strikes on goal. Here you have no restrictions, no time, no matter the number of beats, most importantly - learn how to score the puck exactly the target. The second mode will make it possible to test your skills, earn points and opening new locations. 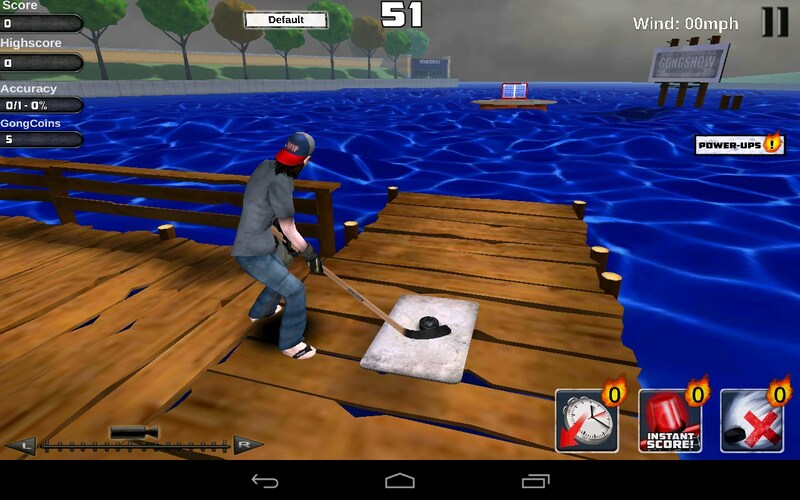 Multiplayer also allow you to compete with real players, who, just like you spent a few hours practicing diligently. A few words should be said about the passage of the championship. To open new levels you have to collect a certain amount of points, scoring for this washer exactly the keeper. Restrictions imposed time, in particular, in 60 seconds you need to get done with a dozen accurate throws. In addition, the gate will constantly change its position. By the way, for every hit you will accrue bonus time in 5 or 10 seconds, which would facilitate the passage of each location. In online mode, you need not just to score goal, and make a series of shots that will allow to win. Sore spot of the game is the management that is too unpredictable. The control system is very simple: you need to do swipe from the player to the goal. Depending on the duration of the gesture is determined by the force of impact. Everything seems simple and easy, but it is in theory. In practice, firing very difficult to do, because the hero performs blow unpredictably. The idea of ​​the game for sure will please many fans of the sport, however, the implementation of much spoil the experience. Mediocre graphics with a limited number of locations and horrible management is unlikely to make the gameplay fun and enjoyable. Further complicates the situation present Donath, without which it is practically impossible to get new accessories and bonuses. Total . 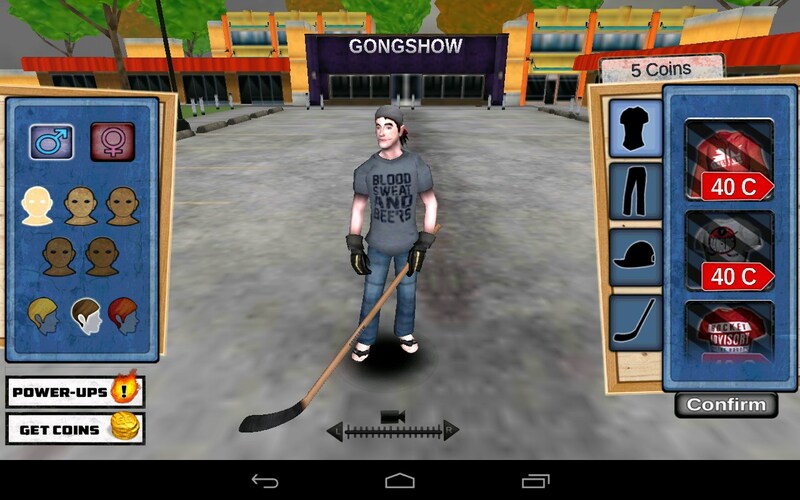 Gongshow Saucer King is primarily suited street hockey fans, who will be able to close their eyes to the shortcomings and would gladly spend for passing a level several hours. If you have enough patience and skill, you will surely be able to take a leading position in the general table of records, taking part in online competitions.